Symantec’s tryst to have a long-term India leader at the helm seems to be over–as of now. Gaurav Agarwal, the new MD for Symantec India is the fifth country leader in a little over seven years. The sudden exit of India head Shrikant Shitole of Symantec after a less-than-three-year stint again perplexed industry leaders, CISO fraternity and channel community in India. After Ajay Goel was appointed Symantec India chief in November 2010, there have been four change of hands at the top of the security player, including Anand Naik, Sanjay Rohatgi, Shrikant Shitole and now Gaurav Agarwal. Appointed as president of sales for Symantec India and SAARC, Gaurav will lead the enterprise security business for Symantec in the region, and growing the company’s presence and market position in India and SAARC, said the official statement of Symantec. Sanjay Rohatgi is the only MD from the past five India chiefs for Symantec India to continue with the security giant. Rohtagi is now president for Symantec APJ from March 2015, before Shrikant took over as India chief. Vishal Dhupar held fort at Symantec India for over five years. But after he quit the company in late 2010, the security giant seems to be inept at cracking the formula of sound leadership for India region. Globally too, the security vendor has witnessed frequent shuffle at the top since 2009. Three executives served as Symantec’s CEOs in succession from April 2009 to April 2016. Coincidentally, Symantec has witnessed the frequent change at the posts of global CEO and India MD in the period from 2009 - 2010 till 2016-2017. Will this frequent movement of senior most executives impact the end customers and channel partners of Symantec in India? There was no response to the question when IDG India asked Symantec. However the official statement stated that Gaurav is well known and respected in the IT industry in India, and has held multiple leadership roles in technology companies. 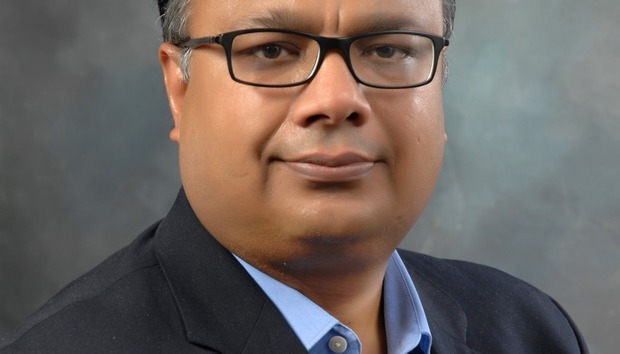 Prior to joining Symantec, Gaurav led the Public Sector business for Cisco in India and earlier he was with IBM where he held several senior management roles. Gaurav has extensive experience working with Enterprise and Government Customers across India and building strong motivated teams, mentioned the official statement from Symantec. Symantec in April 2016 announced that CEO Michael Brown will step down. Steve Barnett and Salem Enrique were fired as Symantec’s CEOs in July 2012 and March 2014 respectively. Salem had a 19-year association, including a three-year stint as CEO. But Barnett and Brown served as president (and CEO) for little less than two years each. After John W. Thompson retired from the post of Symantec CEO which he held for a decade, there has been a constant search for a long standing CEO to add impetus to the company. After three CEOs were fired from 2012 to 2016, former CEO of Blue Coat is now the CEO of Symantec since June 2016. Since Greg took over, Symantec has witnessed M&A activity to streamline its security portfolio for modern landscape and changing customer demands. The company acquired LifeLock, Fireglass and Skycure in the span of past ten months. Symantec recently sold its SSL unit (certificate authority (CA)) business to DigiCert. The exit of senior executives at world’s largest security vendor–globally and back in India–has been a cause of concern for Symantec channels and end customers at large. The more-than-half-a-dozen (former Blue Coat) executives at the top ranks of Symantec including Greg suggests a robust management team. Symantec seems to have a stable global CEO in Greg Clark with a toned product portfolio under his tenure. Will Gaurav Agarwal prove to be the much needed long term bet as Symantec India Leader?